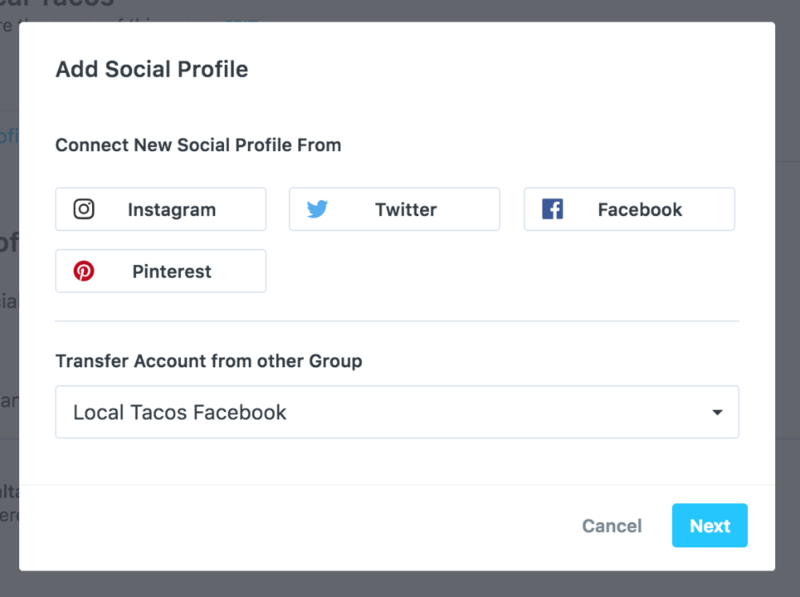 Currently, you can only add social profiles from Later on the Web. Changes to social profiles can only be made by the Primary Account Owner. Note: If you're on a free plan you will be managing all your social profiles in one group. 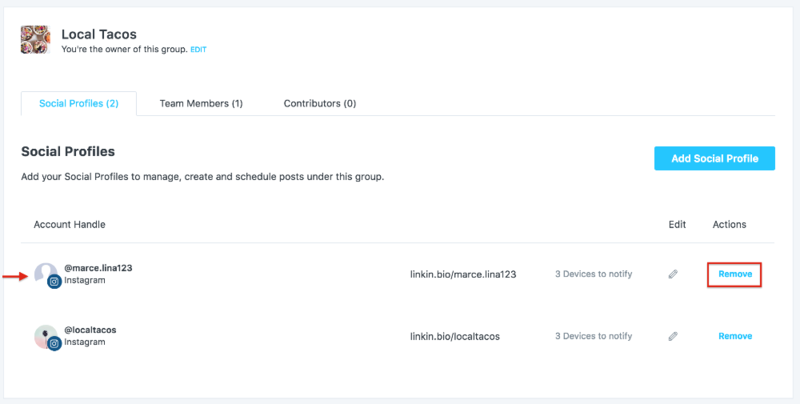 To better manage your social profiles on a paid plan, check out our Groups guide. 3. Once you're in the right group, click the + symbol at the top of the Calendar and follow the steps to connect your social profile. 4. Follow the prompts and you're done! Please note: Pop up blockers can really mess with Later's ability to get authorization from a social network, especially Facebook! Please make sure to disable your pop-up blocker before attempting to add a social network! If you are having trouble connecting your Facebook Page, please check out this help guide. 3. From the Social Profiles tab, find the social profile, click Remove, and confirm.